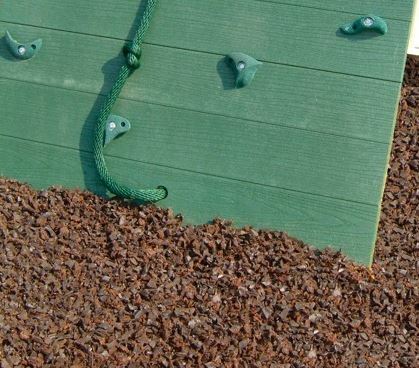 Tips for Maintaining Playground Mulch | Rubber Safe Playgrounds Inc. The great thing about installing rubber mulch on a playground is that you won’t have to do much to it once it goes down. Unlike wood mulch, you won’t have to replenish it often since it won’t decompose. You also won’t have to worry about it floating away when it rains. Nevertheless, there are some maintenance steps you can take to keep it looking fresh. Check out some tips for maintaining playground mulch below. Check the mulch depth every so often. If you use rubber mulch on your playground, you should make sure there’s a layer of it that’s about 4 to 6 feet deep. This will provide kids with the protection they need when they’re playing on equipment that is as high as 12 feet up in the air. You should check on the mulch depth every now and then to see if it needs to be topped off. By maintaining the right depth, you can make sure your mulch is able to do its job. Till the mulch to keep it soft. Over time, all mulch can get packed down, and compacted mulch won’t offer as much softness to kids as you might like. If you see your rubber mulch getting compacted, you should till it to put some spring back into it. You should never simply place new mulch over compacted mulch since that will only make the problem worse later. Tilling will take care of this issue and help you steer clear of using new mulch when you don’t have to. Rake the mulch to keep the playing surface even. Have you noticed the playing surface on your playground seems uneven? It could be because kids are moving your mulch around and creating hills and dips with it in the process. You can prevent this by raking it from time to time to keep everything even. It will leave you with a nice uniform surface always. You should get into the habit of raking mulch about once every week. If you ever find that you need more mulch to maintain your playground, Rubber Safe Playgrounds would be happy to provide you with it. Check out the benefits of rubber mulch and call us at 630-330-6589 to get a quote.